Are you considering purchasing a vehicle? Read below to find out why Alma Chrysler Jeep Dodge Ram is different from the other dealers. We strive to make this a buying experience like no other. Total transparency, total respect, total commitment, to you. Want proof? Read these testimonials from some of our happy customers. They won’t shop anywhere else, and soon, neither will you. Why should I buy my next car from Alma Chrysler Jeep Dodge Ram? Our awarding winning dealership, service department and sales staff provide the highest level concierge service to our valued customers. We offer prompt, friendly, hassle-free service to every customer in every situation. With low interest rates, competitive pricing and top quality vehicles, we make it easy. How much do you think my trade is worth? Alma Chrysler Jeep Dodge Ram offers a professional appraisal of your vehicle that will give you an up to the minute value of your trade-in using market based 3rd party vehicle valuation services that offer data to the entire industry. Just like you, we use NADA and Kelly Blue book among other sources to determine the value of your trade. What kind of interest rate will your dealership offer me? Many new Chrysler Jeep Dodge Ram vehicles offer special financing incentives to qualified buyers. Should the vehicle you decide to purchase not include any such finance programs, we use many competing local and national lenders, banks and credit unions, who are eager to earn your business with very aggressive interest rates. If you wish to get an idea of what type of rates you might qualify for please click here to fill out our credit application online and we will get started right away. Will the price be lower if I pay cash? No, whether you decide to pay with cash or finance your vehicle price will not change. An individual's payment method does not influence the selling price. If I receive a price quote from you will it change once I arrive at your dealership? No, absolutely not. The price quote we provide you is a real price on a real car you can really buy. Does your quote include rebates and/or other incentives that most people do not qualify for in order to lure me in? No. Unlike many dealers that advertise employee pricing and rebates very few people qualify for, Alma Chrysler Jeep Dodge Ram advertises with transparency, using payments and rebates anyone in our area will qualify for. If you do qualify for any additional unadvertised rebates, we will make sure you get every applicable discount for the lowest possible price. How does Alma Chrysler Jeep Dodge Ram arrive at its prices for its pre-owned vehicles? At Alma Chrysler Jeep Dodge Ram, we use real-time 3rd party market data for all our pre-owned vehicles to ensure the price is both very aggressive and very fair. Beyond the vehicle's selling price, what other costs are associated with a purchase at Alma Chrysler Jeep Dodge Ram? Provided you are a Michigan resident and intend to register your vehicle in Michigan, you will pay 6% sales tax on the vehicle's selling price. Should you have a trade-in, you will receive a sales tax credit per state of Michigan current guidelines (up to $300 for 2019). State regulations dictate additional fees; Document Fees $220, Plate Transfer Fee $8, Title Fee $15 CVR Fee $24, Lien Fee $1. These fees do not include new plate fees. All fees are disclosed at the time of purchase. You do not have to visit Michigan Secretary of State office, we handle all the registration and payments for you! What is the dealership's administrative fee and why is it there? 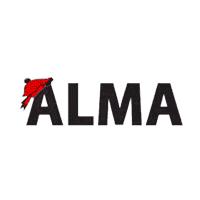 Alma Chrysler Jeep Dodge Ram's Alma Chrysler Jeep Dodge Ram's administrative fee, $220, which is authorized by the State of Michigan, and addresses service costs sustained by our dealership that are different than those paid to the manufacturer to obtain the vehicles. The administrative fee is related to costs associated with compliance for Federal and Michigan State laws that grant safety, consumer protection, anti-theft measures, vehicle history checks, notifications, certifications and other official filings. Must I service my car at your dealership if I purchase it from you? No, you are welcome to service your vehicle at any dealership or establishment you choose. Chrysler Group and Mopar recommend that you service your vehicle at a certified dealership and we suggest you let our Certified Master Technicians service and maintain your vehicle. Our experts will keep you running smoothly for the life of your vehicle!